Contending-color porcelain uses color painting skill to combine both blue and underglaze and white overglaze. 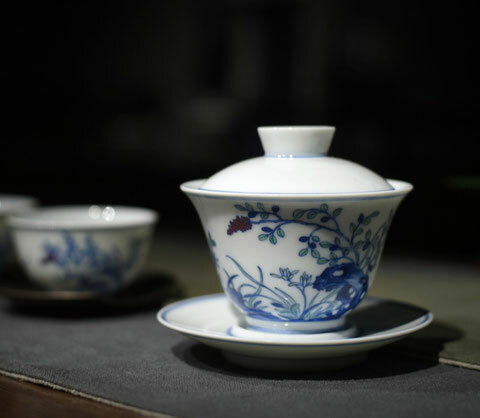 The bodies of such teawares are white and fine, small and light. White glaze looks soft and bright while other parts are colorful. 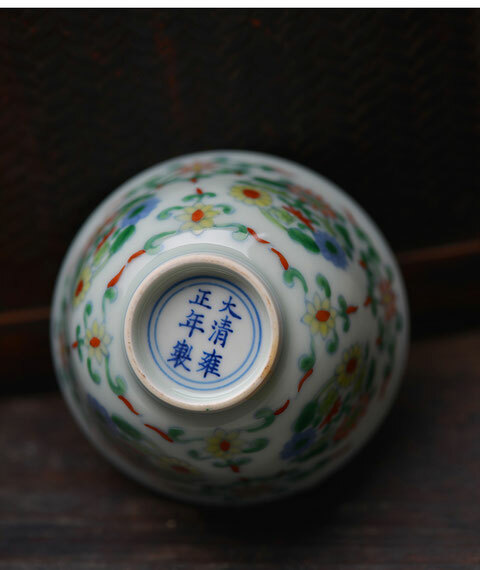 Since the Ming Dynasty, clashing color porcelains has always been deeply loved by royal people and scholars. 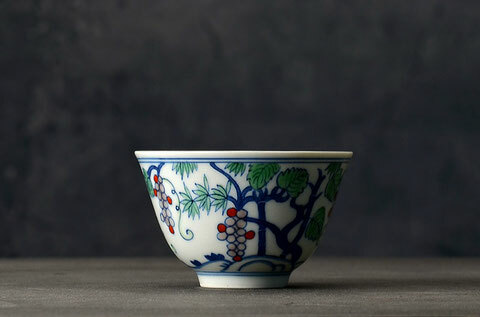 Ever from the reign of Emperor Chenghua, the Ming Dynasty, craftsmen from Jingdezhen Kiln tried to draw the frame of pattern with blue and white color on white porcelain body. Then, they added transparent glaze and fired it in high temperature. After that, they would draw other colors within the blue and white frame and put the base to fire in low temperature. 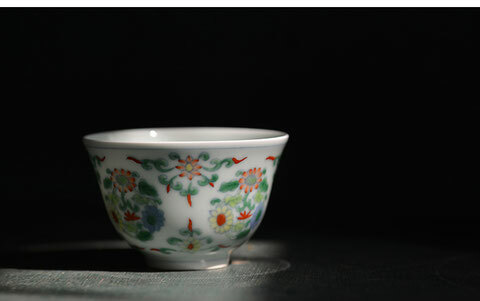 There were various colors among clashing color porcelains, like red as bright as blood, shinning and green goose yellow, dark and shining pine green or dense and dull purple. 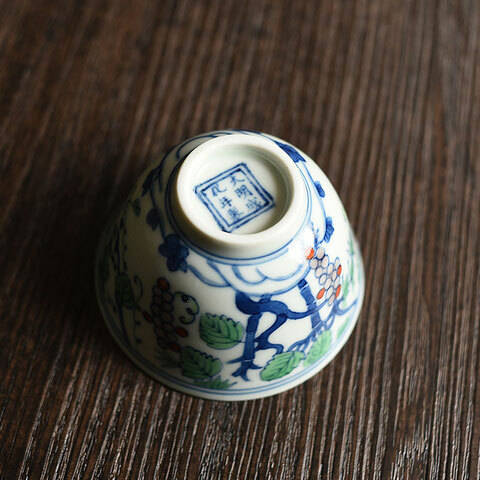 During the reign of Emperor Kangxi, Yongzheng and Qianlong, clashing color porcelain witnessed another peak in its history. At this moment, this porcelain had all kinds of colors. Craftsmen combined different colors harmoniously. Therefore, colors themselves could express the theme of the porcelain, which was extremely miraculous.